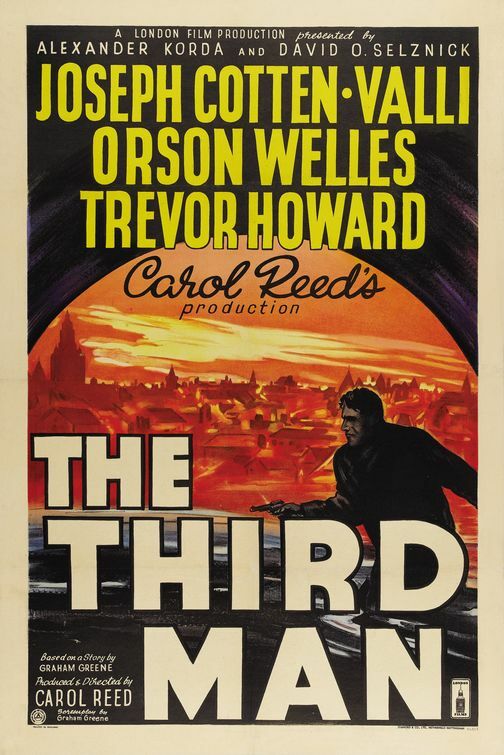 The Third Man – Did You See That One? Pulp novelist Holly Martins (Cotten) has arrived in occupied Austria on the invitation of his good friend Harry Lime (Welles). To his dismay, he arrives to the news that Lime has died in a freak accident. As Martins seeks out information in his friend’s untimely death he begins to suspect something more than an accident has occurred. This classic thriller was written by Graham Greene (Ministry of Fear), who initially wrote the novella as a guide for his screenplay. After the release of the film, he published the novella. He was aided in writing the film by Orson Welles, Alexander Korda, and Carol Reed who were all uncredited for their work. Director Carol Reed (Oliver!) took on the film and eventually earned an Oscar nomination for Best Director. 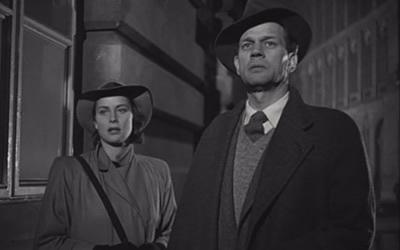 The cast features Joseph Cotten (Shadow of a Doubt), Alida Valli (Senso), Orson Welles (Citizen Kane), and Trevor Howard (Gandhi). This story is an excellent example of the British work in the film noir genre. The post-war setting allows for a number of special touches, including the mixture of cultures that make the characters very interesting. The characters in this movie are all uniquely flawed and driven by a number of different motivating factors. The character of Holly Martin is an interesting choice for protagonist in this movie. His flaws are magnified by the situation, but he also reveals redeeming qualities as the story moves forward. The end result is a movie that leaves you questioning who to side with and who to question. There is little predictability in this one, and the payoff is perfect. The movie was built on a great story, and succeeds further with great acting. 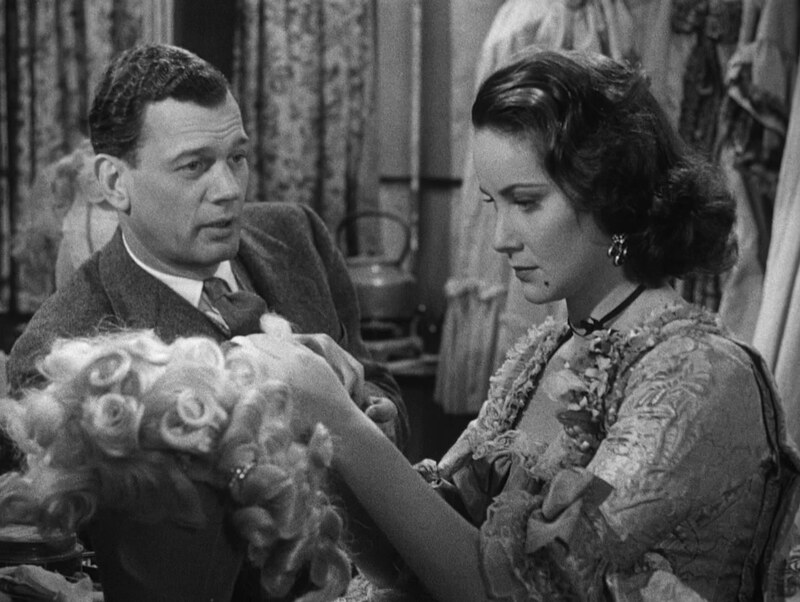 Joseph Cotten did a great job leading the way in this movie. His performance was emotional and persistent. The drive his character had to find the truth was displayed nicely with his acting. In addition, he allowed his characters flaws to be evident throughout. The female lead in this film went to Alida Valli. She did a nice job playing up the “damsel in distress” side of her very complicated character. In the end, she also displayed a cool resolve that is important to the resolution of the film. 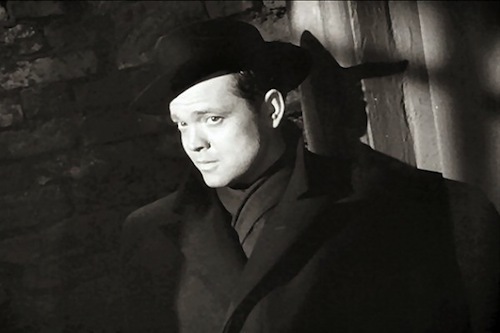 Orson Welles did a great job in this movie, playing the mysterious Harry Lime. His performance comes with a bit of bravado that seems to echo his work in Citizen Kane. Finally, Trevor Howard did great work in his role in this one as well. With a the acting and the story coming together so nicely, it only seems fitting that this would be visually stunning as well. This film earned its only Oscar win for Best Cinematography. Cinematographer Robert Krasker (El Cid) did a wonderful job keeping the suspense building through visuals. the camera angles, unique perspectives, and nice framing all put together the underworld feel this movie called for. 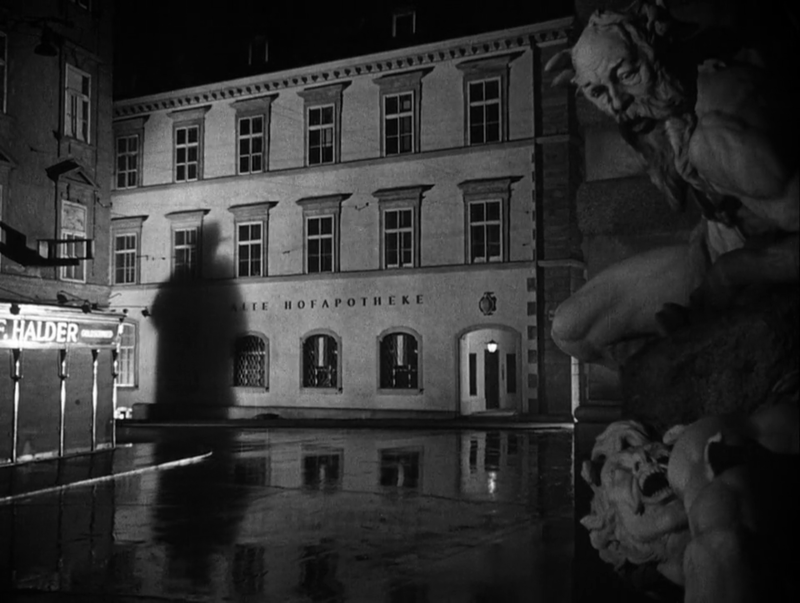 The lighting and set design also help in creating this film noir sensibility throughout the movie. Overall, this is one of the more visually interesting movies from the film noir genre. This is a wonderful movie with a great payoff. I would obviously recommend this to anyone who loves film noir. I would also suggest this to fans of mysteries or thrillers. The stars in this movie are great, so this should also be on your list if you’re a fan of anyone in the movie. I love the suspense that builds in this movie, and I think most people will as well. I give this one 5 out of 5 stars. One of those movies I guess I’ll need to re-watch as it didn’t do too much for me the first time I saw it. The visuals alone well bring me back. Hope you get a chance to try it out again. I love mystery/thrillers so I actually only watched this back in January when someone suggested it to me. I thought it was done really well. Thanks for checking out the review. 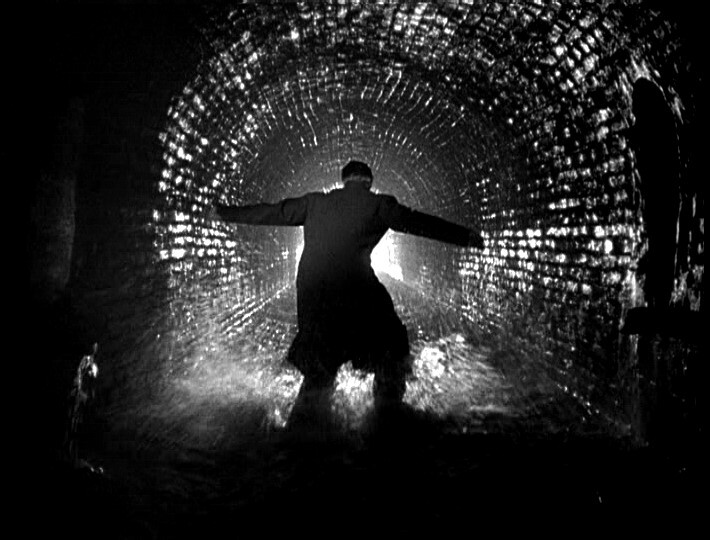 This is among a number of British noir films worth checking out. I hope you find time to see a few more. The Seventh Veil perhaps? Also, Odd Man Out or The Mark of Cain. Pingback: Falstaff – Chimes at Midnight | Did You See That One? Pingback: The Agony and the Ecstasy | Did You See That One? Pingback: Oliver! | Did You See That One?